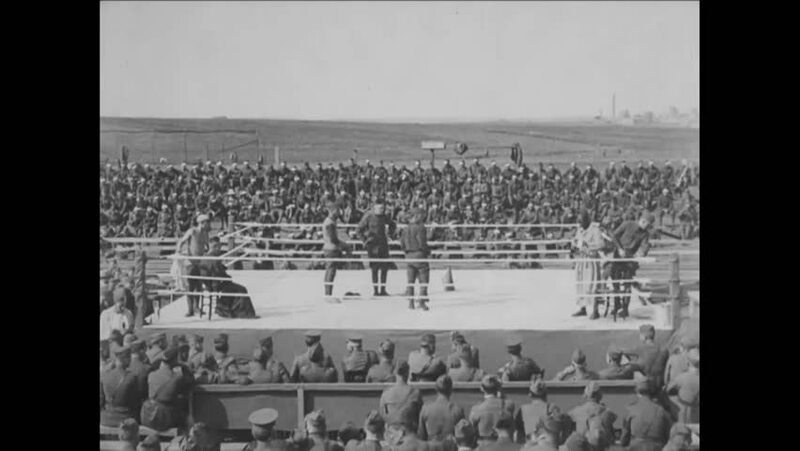 CIRCA 1919 - American soldiers from segregated units box each other. 4k00:211920s: Woman and man in bathing costumes walk and wave on beach. Boats and striped cabanas on the beach. 4k00:151930s: Man stands before crowd, giving speech. 4k00:15Decorative illumination of a plurality of lamps. Shot in 4K (ultra-high definition (UHD)). sd00:551960s: Shots of a car convention at Cobo Hall in Detroit in the 1960s. hd01:17CIRCA 1950s - The US army shows off their manpower, weapons, artillery and military vehicles in the 1950s.